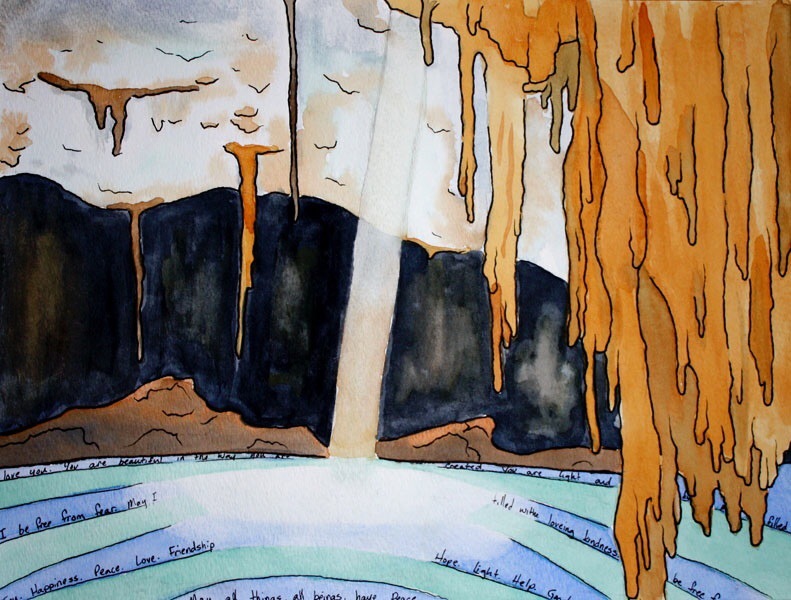 After it’s long filtration through the caverns and dark places of the earth, language and water is transformed. From the spring, it emerges, sparkling and clear, filled with kindness and the light of hope. Prayers of peace and hope rest upon the waves of the stream and crashing ocean. 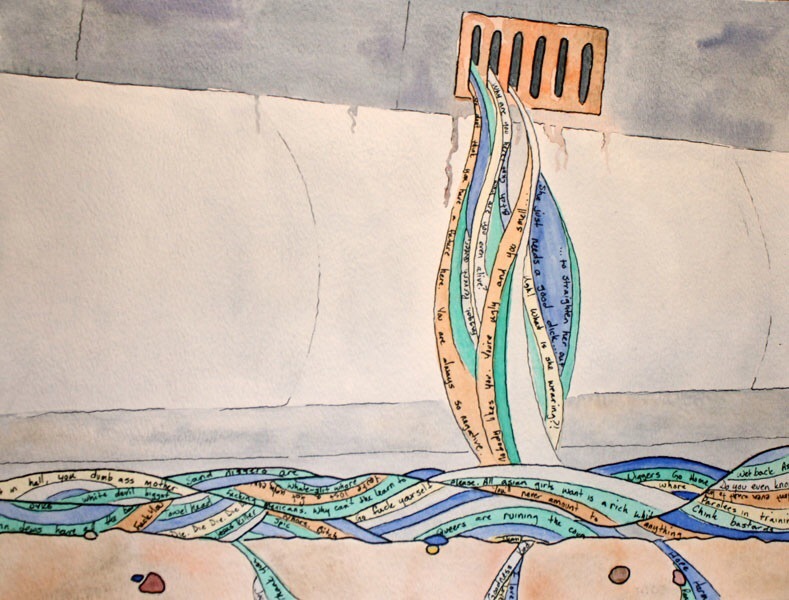 Water and Words is a watercolor tryptic, meditating upon the nature of language. 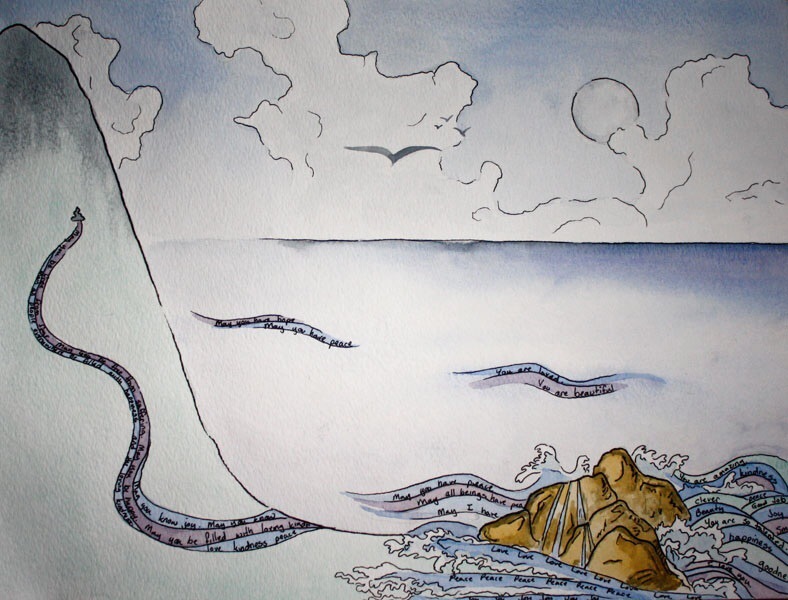 Water and words are fine art watercolor originals; each is 12×9 inches, unframed. Is that education going to waste? All the words and lessons kids learned washed away with the sewage. They were never properly applied. I love it! Your own interpretation of the work!